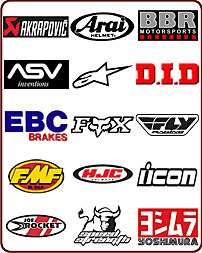 All Merchandise, Parts, Bikes including Quad/ATVs are available for local pick up. Local pickups are subject to NJ sales tax. All other items will be shipped via UPS, Fedex or Priority Mail. All Parts & Accessory returns are WORRY-FREE. Returns can be made within 15 days of purchase only after they have been authorised. Merchandise must be returned unused, unworn, un-ridden condition in undamaged original packaging with all tags included and intact. 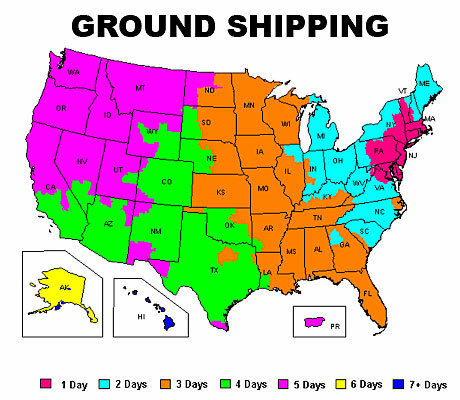 You will be responsible for all shipping costs associated with getting your order back to our Freehold, NJ warehouse. There will be a 20% restocking fee. Any merchandise which has been "taken out for a ride" is considered used and cannot be returned. We suggest you walk on carpet in your ordered footwear and to try on your motorcycle helmet indoors before heading out on the bike. Any merchandise or parts which show signs of use (wear, bugs, dirt, smell, pet hair, scuffing, mounting, etc) or otherwise is in a condition other than it was received cannot be returned. No Returns on Electrical Parts. Exchanges on Parts & Accessories can be made within 15 days of purchase only after they have been authorised and are not subject to a restocking fee. Merchandise must be returned in undamaged original packaging. 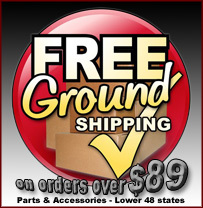 You will be responsible for all shipping costs associated with getting your order back to our Freehold, NJ warehouse, however we will pick up the tab for shipping your gear back out to you. Bikes are non-refundable. Each manufacturer has its own warranty policy. Pit Power Sports will assist customers with their warranty; however Pit Power Sports does not provide any direct warranty on any item sold. Damaged goods claims are handled through the shipping carrier (UPS, FedEx, USPS). Please let us know ASAP if any goods arrive damaged. Please keep all original shipping containers and take pictures if possible. We are happy to assist our customers in these claims. *Closeouts- All sales are final. No exchanges or refunds.